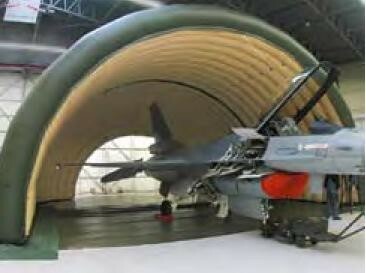 Various types: Inflatable, Folding & Ridged. 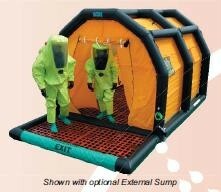 Decontamination, Changing Areas, Waiting areas, Storage and just as a shelter from the Elements. 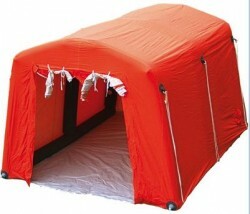 Inflatable Shelters of any size: Portable Hangers. Simple and quick assembly as an alternate to the Inflatable type. 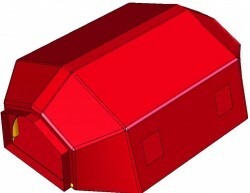 Shelter with additional external sump. Easy to erect and very strong and stable. - Connectors: to connect multiple units together.